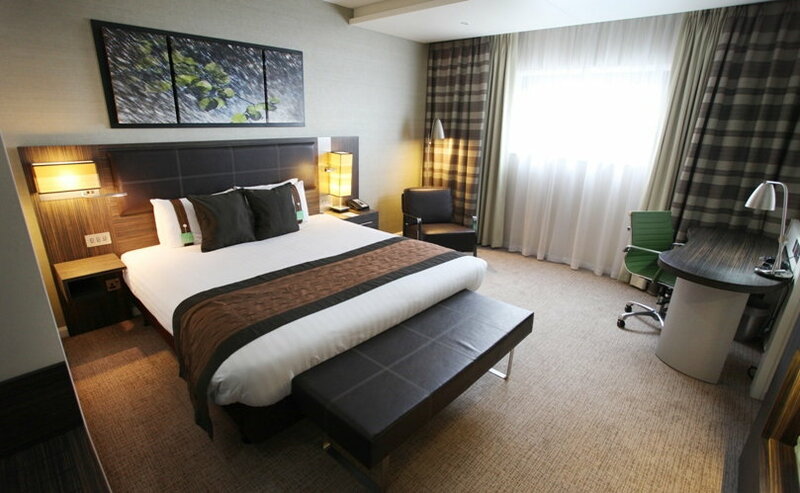 The 4 Silver Star Holiday Inn Reading offers 174 beautiful bedrooms in a number of different configurations and is conveniently located off Junction 10 on the M4. Treat yourself to our larger tranquil Executive rooms with warm tones and King size bed. Indulge with a rain shower and wrap up in a toweled bathrobe and slippers. There's a minibar for drinks anytime, a 32-inch flat screen TV, a comfortable work desk and superfast internet; both cabled and Wi-Fi. Luxury toiletries and a power shower help you to unwind. There's also a 32-inch flat-screen TV, a laptop safe and a minibar.